The Omniª series was designed for tight detail to broad spraying using a "One Tip-One Needle" combination. When trying for that one last detail, just the right blend or a great smooth finish -Omniª detail guns are ideal. Omniª airbrushes work equally well at low or high pressures for varying applications. Besides performing well with finely ground colors, Omniª airbrushes can handle heavier automotive paint with no need to change tips/needles. Designed with state-of-the-art engineering, Omniª airbrushes are manufactured to the tightest possible tolerances. Omniª airbrushes feature heavy nickel chrome plating, superior balance, solvent resistant o-rings and numerous other performance enhancements. 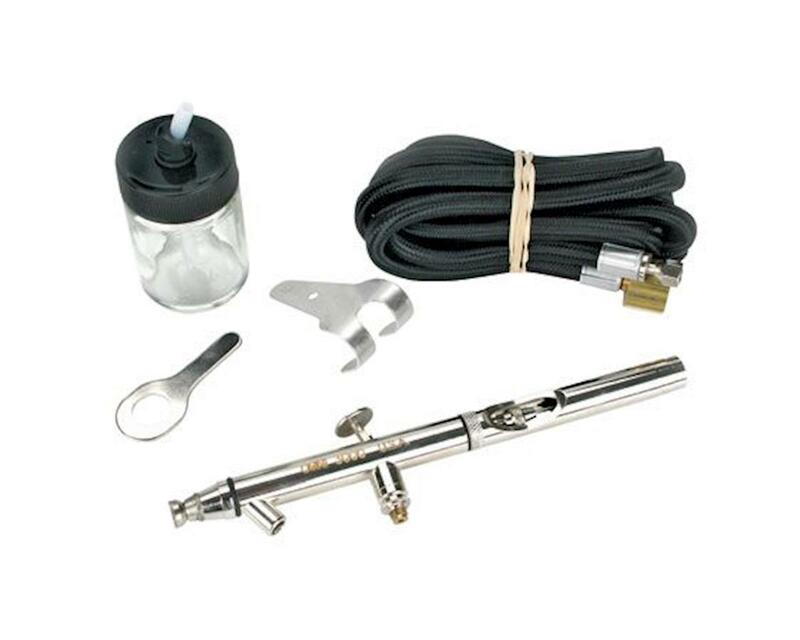 Omniª airbrushes are known worldwide as the performance and price preference to other similarly designed airbrushes.